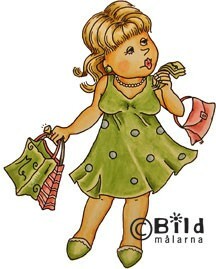 This stamp is called Greed and is part of the 7 Deadly Sins Collection from Bildmalarna. This measures approx. 3 3/4" tall x 3" wide.